I must say I wasn't a fan of most of the Alolan versions in Pokemon Sun and Moon but I did love the Alolan Vulpix - if you had asked me if there was a way to make Vulpix even cuter I would have said it was impossible, but I was wrong Alolan Vulpix is utterly adorable. This plush is super soft and high quality, however as you can see mine has a slightly wonky tail - I do mean to fix this with a needle a thread eventually. 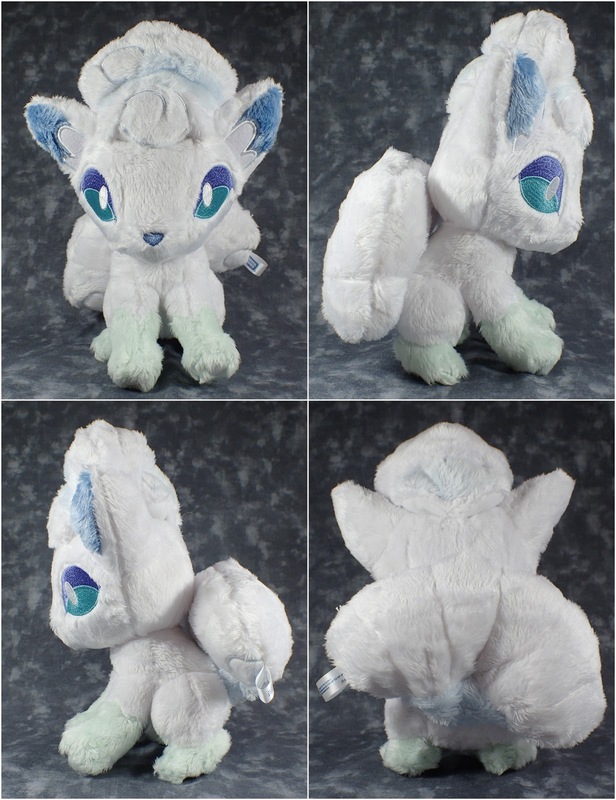 Stitching is great always and I like the subtle use of different coloured fur as in some images it can look as if Alolan Vulpix is purely white.